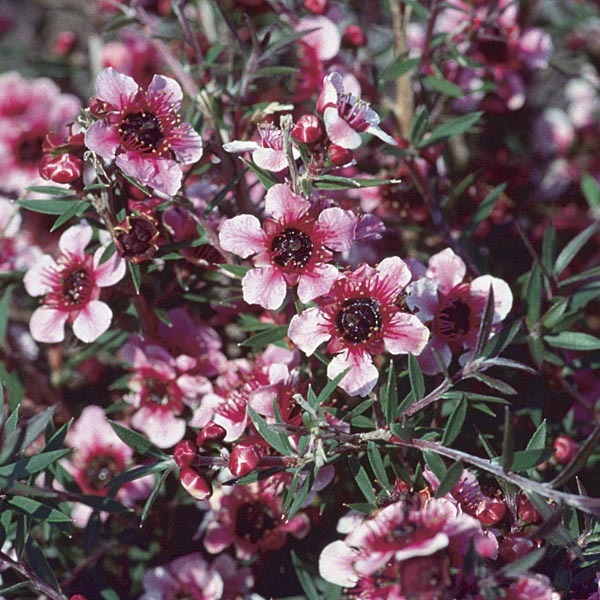 Early settlers of Australia and New Zealand used the foliage of this plant to brew a tea very high in vitamin C, hence the common name, "Tea Tree". This is a vigorous, carefree shrub that will grow in just about any well-drained location. The blooming stems are a beautiful addition to cut flower arrangements and have been a popular choice for florists for many years. The fine, dense foliage makes a great screen or hedge. Can also be grown in large patio containers. Super easy to care for. Requires very little attention other than occasional watering during dry periods.